The 6126-4 is a fast action double hand graphite fly rod. 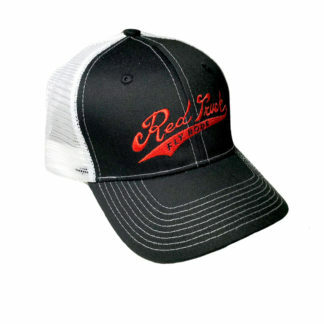 The Leland crew designed this one for summer steelhead fishing, but don’t let the light line class fool you. This rod has plenty of power. The 6126-4 is a light “greased line” two-hand fly rod and performs best with floating heads from 23-25 grams. 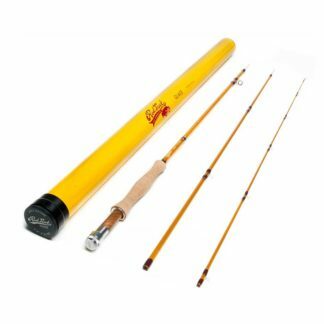 This is a super sensitive two-hand rod which will handle most seatrout and salmon fishing. 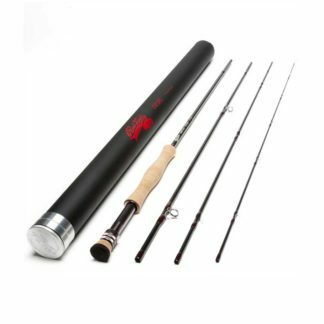 Red Truck designed the Diesel two-hand fly rods for steelhead fishing and they perform like magic for our salmon and seatrout fishing. 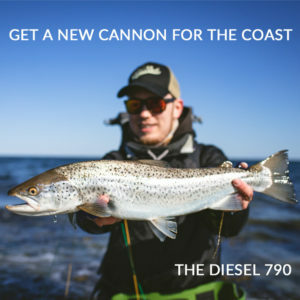 Red Truck Diesel Fly Rods embody the casting & fishing capabilities of the original California Leland Fly Fishing crew. 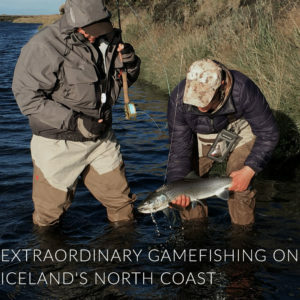 They combined their experience with the engineering and production mastery of the world’s leading technical fly rod manufacturing facility. The crew designed the Diesel series nearly a decade ago and it hasn’t changed much since then. The reason? The rods simply work and work well. 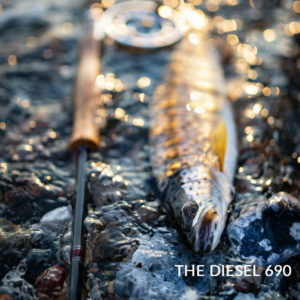 Diesel fly rods have a distinct, classic look that just doesn’t go out of style. 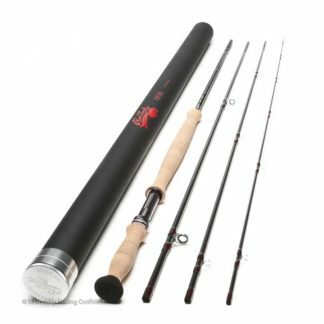 RFT Gear is the only retail outlet in all of Europe offering factory-finished, high-performance Red Truck Diesel fly rods. Red Truck produces the Diesel rods in Korea to the highest standards. The Red Truck Diesel series features two lovely little S-Glass trout rods for line class #4 and class #5. They built both on beautiful translucent yellow-gold blanks bound in Red Truck’s signature burgundy red windings. The fit and finish down to the Western sock, yellow aluminum tube and sock are all top shelf. For you rod builders, both blanks are also available! The fast action graphite fly rod models in the Diesel series are light, quick and responsive. The graphite blend is a 30/40 ton mix with a natural grey semi-ground, snake-belly finish. All feature ground ferrules. The windings are burgundy with silver trim and the rings are all stainless steel. 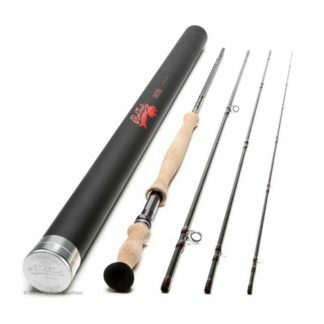 All Red Truck graphite fly rods come with a black, powder-coated aluminum tube and black twill sock.